I think it would be good to give you an insight into what I spend most of my time doing. That, if you haven’t guessed already, is being a student at university. Third year has just come around, and with that has come a lengthy reading list and a pile of assignments. I want to let you know what I’m currently studying, not just so you get to know me better, but in case any of it interests you! I’m in the library right now as I type this up – any spare time during the first two weeks is something to be cherished, but here I am. This course intends to explore later medieval culture’s diverse attraction to the nature of love and desire, both personally and spiritually. We are going to be closely exploring and analysing a range of British and European texts, including poetry by Chaucer and Petrarch. From key texts as such, we will be exposed to a variety of genres and modes from the twelfth to fifteenth century and thus have the opportunity to understand their fascination with love and desire. Whilst reading said lyric poetry, dream vision and allegory, romance, elegy and ‘mystical’ writing, we will focus on relationships, symbolic languages and identities that the authors have created, as well as much more. Currently, our seminars are looking into Troubadour poetry, and we are planning on continuing into areas such as the Female Voice and Supernatural Love. For this particular course, we have an extensive essay to write and an exam to complete in order to pass. Ok, so this is just a tad different from my other course. Or maybe a whole lot different. I’ll let you decide. 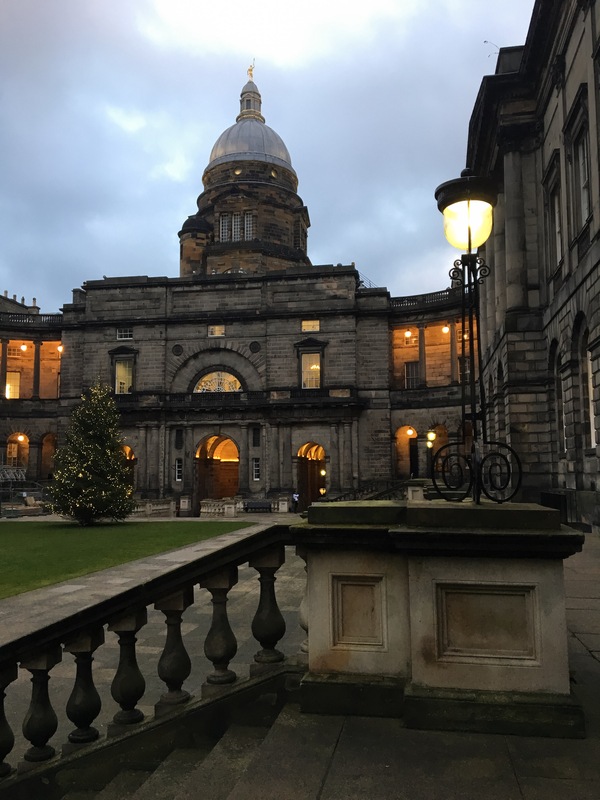 With this course, we are getting to explore twentieth century Scotland through the eyes of some of its most distinguished and celebrated authors. We will consider how society has changed and the ways in which the authors seek to recognise and represent said changes. Within this, we will also refer to Scotland’s social, political and economic circumstances and the central problems that modernity creates. There seems to be a strong sense of tradition and values within the work of Scottish writers, and it will be interesting to see how this plays out with topics such as religion, science, politics, gender, history and the individual. The reading list includes Nan Shepherd’s The Weatherhouse, Neil Gunn’s Highland River, Jessie Kesson’s The White Bird Passes, Muriel Spark’s The Prime of Miss Jean Brodie, Alexander Trocchi’s Cain’s Book and Alasdair Gray’s Lanark, as well as much, much more. We are assigned an essay and exam for this course, too – wish me luck! I’ve put my last two courses together here. Although they are completely different from one another, they are similar in that they are bit different from my other courses. Rather than small, two-hour seminars with my classmates and lengthy discussions (like the first two courses), these Critical Practice ones are a bit more general and are in the form of hour-long lectures and workshops. They intend to expand our knowledge of specific generic conventions and associated critical vocabulary. Critical Practice hones our skills in close reading, descriptions and analysis of a variety of texts. Within poetry, we are being taken through sonnets, the eighteenth-century voice, the lyric, dramatic monologues, modernist poetics, gender and everything else to do with poetry. It is a more general approach of study as we step back and look at poetry on a surface-level and really get to grips with what poetry actually is, and what it takes for work to be classed as a poem. For performance, we will be encouraged to reflect upon the different meanings and effects texts can produce in a performative display. It will be interesting to see how pieces of work are translated to the stage. Through this, we will be exploring a range of different styles of theatre and I feel that it will develop my analytic skills when reading a play, too. And, guess what? I also have to write an essay for each of these courses, as well as sit an exam for each of them. So, that’s my life until December. I pretty much study those four areas during the week and then I work in retail at the weekend. They make student life out to be easy and simple, but believe me when I tell you it isn’t. Let me know if any of these areas interest you, or if you’ve read any of the literature that I’ve mentioned. If you liked this post, I’ll maybe post an updated version of it come January when my courses change over for the second semester. P.S. I would really appreciate it if you could nominate me for National Book Token’s competition! Winning tokens to buy books for university would really help me out, and then I could review them for you, too!! Just click here or follow the link below and nominate Rachael Sinclair 🙂 It takes less than a minute, and thank you in advance!